My grandmother always used to tell me that for a woman, her best friend is her gold. I was just a school boy then and could never understand the real meaning of what she said and would always wonder as to how a piece of metal can be someone's friend. Now, not only I am ready to vouch for what she said, but would also gladly extend its scope, saying that for every person, a piece of gold any time would be his best friend. There is a well known English phrase that says “ A friend in need is friend indeed,” how true! And a piece of gold perfectly fits this description of a friend as well. 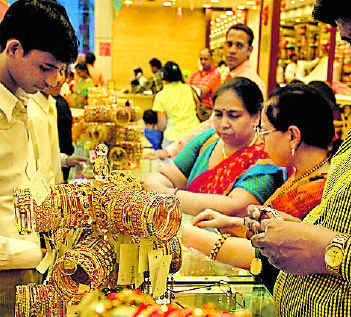 Indians along with Chinese, are known for their lust for gold. 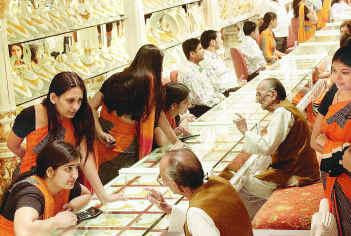 From times immemorable, Indian families have been hoarding gold, which forms the main part of family treasury. Western economists do not understand this craving for gold by Indians, when gold metal is not even mined in India. It is almost entirely imported by Indians after payment in foreign currency. Some say that Indians are fascinated by Gold. This is one of the most stupid arguments, I have ever heard and it hurts the native intelligence of Indians. We are not small children to get fascinated by something that glitters. Indians do not buy diamonds, which glitter even more, the way they buy gold. Government obviously does not like this buying of gold by citizens. When anyone buys gold, he is actually spending dollars. 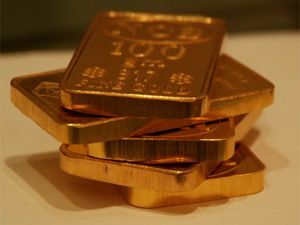 If many people start buying gold, demand for dollars goes up and makes dollars strong vis a vis Rupees. This depreciates the Rupee and makes other imports like oil also more expensive. Since Government does not want to increase the market prices of oil based products, it gives subsidies to oil companies. This increases the fiscal deficit of the Government. Higher deficit means Government starts borrowing more and more. This makes overall money supply very tight and interest rates increase. The result is that the economy grows at slower rate. Try to explain all this to a common man. He would surely say that all this is fine. But what about inflation? Which keeps the real income of an individual, going down all the time. The more is the fiscal deficit of the Government, more is the inflation. When inflation is high, the real returns on fixed income investments like fixed deposits and banks turn very low or even negative. This pushes people to buy gold instead of bank deposits. So, people buy gold when inflation is high and the real return from fixed income investments is low, to protect there future from effects of high inflation. Gold is the only zero risk, rock solid investment, that would never loose its value. Unfortunately for India, inflation figures have always been on the higher side and anyone, who has invested his money in bank deposits over a long period is actually a looser. I remember that in 1968, 10 grams of gold could be purchased at Rs. 168/- today I need to pay almost Rs. 30,000 to buy same quantity of gold. This means that in 45 years, gold prices have increased by 178.57 times. If I would have kept this amount in a fixed deposit and assuming a compound interest rate of 7%, my Rs. 168/- would have grown now to about Rs. 3880/-, over which I would have surely paid some amount of income tax. Against this, investment is gold can fetch me Rs. 30000. This is the simple native logic of Indians and no Government propaganda is going to change this. The rising demand for gold is only a “symptom” of more fundamental problems in the economy. It is pointless to blame people for it. So what is the cure? Actually, the way out is simple. Government should ensure that inflation comes down to a reasonable level of 2 or 3 % per annum. This can be done either by cutting subsidies or expenditure. But this can be said easily than done. Political pressures on the Government virtually prevent it from taking any such steps that are economically sound. If inflation continues to rage, people are going to buy gold, whatever may be the price or import duty, whether it is legally imported or smuggled. My grandmother's advice is valid even today. A piece of gold is man's (or woman's)best friend for sure.